Fleet telematics has evolved. Automotive personnel realise that the focus now is on understanding what the car can tell you. The issues have moved beyond simple tracking and fuel consumption data offered by most telematics providers. Today’s systems can accurately, cost-effectively, and remotely extract and present data from the engine management systems of a vehicle in an intuitive format. It then can process and analyse that data to deliver tangible operational and, more importantly, financial benefits to its customers. In-car Cleverness provides vehicle telemetry services for fleet management, car rental companies and dealership groups. The company delivers an innovative end-to-end solution that enables companies to enhance customer engagement and improve profitability by continually analysing data from the car. This data then can provide a range of different solutions depending on the customers’ needs. For instance, In-car Cleverness can offer insights into a person’s driving habits and this information can be used to help manage fuel consumption and lower the impact of wear and tear. Alternatively, it can send an alert as soon as a person is involved in a crash. It also can be used to rapidly send data to rental operators or other commercial fleets following a crash, enabling the pinpointing of probable cause and extent of any damage. The company offers its customers, which are made up of businesses in the UK, Ireland and the rest of Europe, a reliable solution that provides seamless feedback, full visibility and consistent coverage, no matter where in the world the cars are being driven. In-car Cleverness provides low cost, adaptable and device-agnostic solutions to all markets. But to accomplish this, the company needed reliable global GSM and CDMA connectivity, without the burden of data roaming charges. 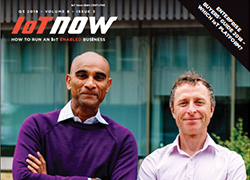 In addition, as its solutions expanded globally, customers required a flexible and reliable data network solution, wherever they might be and for whatever systems they might use. In-car Cleverness found that Aeris could provide a reliable mobile network optimised to meet the demands of worldwide fleet management systems. 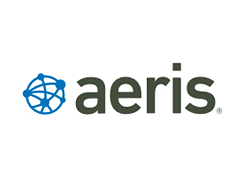 The Aeris IoT Services platform allowed In-car Cleverness customers to roam across Europe, or indeed the world, without additional charges and with continuously consistent connectivity. Aeris’ global support of major cellular technology standards, such as GSM, CDMA and LTE, enabled In-car Cleverness to offer its customers flexibility and the potential for worldwide growth. In addition, Aeris’ flexible pricing models and minimal upfront commitment meant that In-car Cleverness could move to Aeris without the burden of a large, initial financial outlay. Powered by the Aeris IoT Service platform, In-car Cleverness now can provide a solution, regardless of location, for telematics and fleet management customers that want to lower data costs and improve operational efficiencies with data analytics. The fact that the instances of data transfer delays are reduced given the in-country roaming capabilities of the Aeris SIM, coupled with the peace of mind that vehicles can roam across Europe without incurring additional charges, will have a significant impact in terms of client perception and In-Car Cleverness’ return on investment.